Welcome to Equally Safe at Work, an innovative employer accreditation programme enabling employers to advance gender equality and prevent violence against women. Equally Safe at Work is an employer accreditation programme that is being piloted in local councils in Scotland. The programme enables employers to better support employees who have experienced gender-based violence and work towards creating an inclusive workplace culture that prevents violence against women. 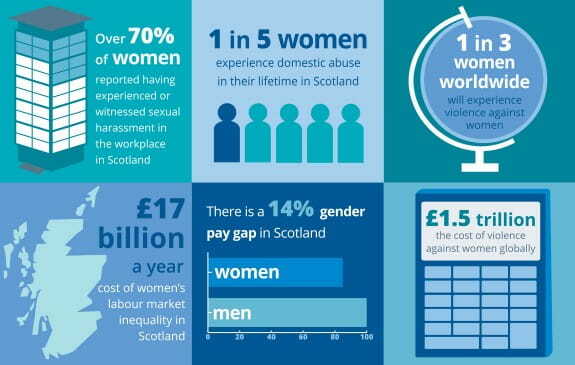 Equally Safe at Work has been developed by Close the Gap, Scotland’s expert policy and advocacy organisation working on women’s labour market participation. This programme is funded by the Scottish Government.